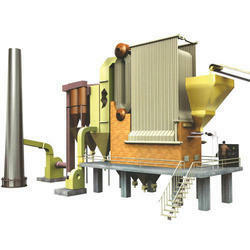 Pioneers in the industry, we offer fluidized bed dryer from India. Our offered Fluidized Bed Dryer is layer of a fluidized solid, used in chemical processes and in the efficient burning of coal for power generation. This is created, designed and perfectly suits Indian coal, imported coal, kutch lignite, rice husk, caster DOC and many other multi fuels. The components used to create this are of all industry grade components that ensue effective and long lasting use. This can be availed at leading market rates after a precise check by our engineers on stringent parameters.